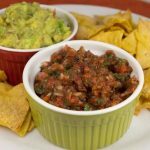 These tasty tortilla chips are “baked” both in the oven and with the addition of cannabis in this most versatile of marijuana recipes you can pair with a variety of salsas and dips. Cannabis infused nachos anyone? U use Marijuana Oil to medicate this recipe. My making Marijuana Oil tutorial will help you learn how to make it. This recipe will have about 40 mg THC per serving IF you made your marijuana oil from average cannabis (10% THC) and used 1/2 ounce of marijuana to make 1 cup oil. To adjust the dosage up or down to meet your personal needs and to reflect the strength of the marijuana you are cooking with and the amounts you used to make your oil, be sure to take my FREE 10 minute online Dosing Class that will teach you how to use the handy dosage calculator tool on this page. Preheat oven to 350 degrees F. Stack the tortillas and cut into 8 wedges. In a small bowl, toss tortilla wedges with canna oil until evenly coated. Spread in a single layer on a large baking sheet and bake until just beginning to brown, about 10 minutes. Remove from oven, sprinkle with fresh lime juice and salt. Store cooled leftovers in an airtight bag, use within a day. 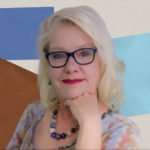 All of my online courses, including the free dosing class, can be found at http://www.Cannademy.com.